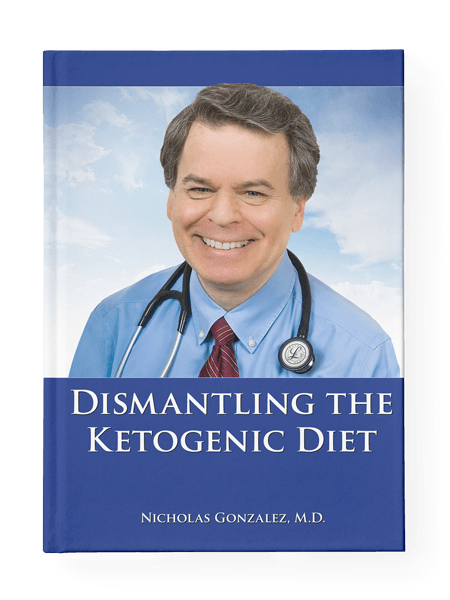 Several recordings of Dr. Gonzalez are available for you to play online: interviews on ConsciousTalk Radio and on the Kat James Show, and two excerpts from speeches. 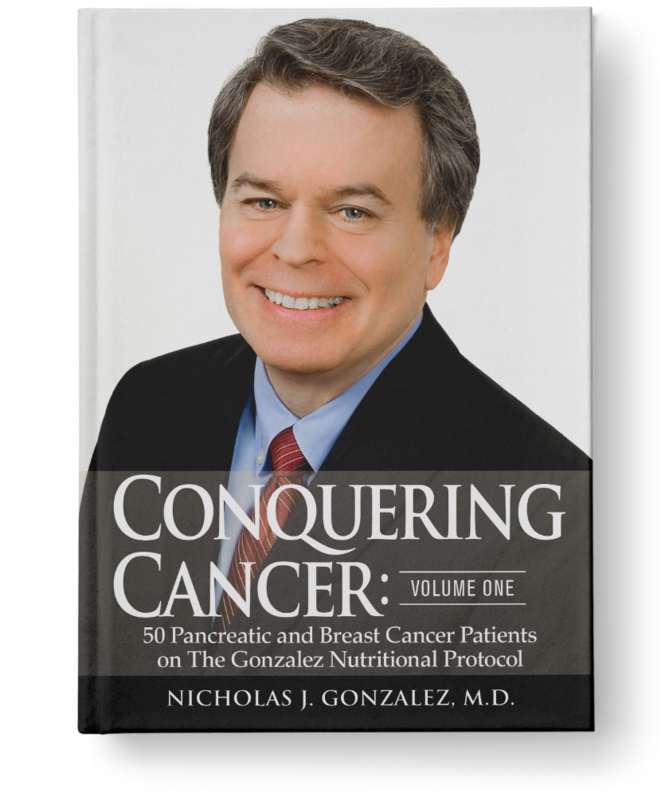 Dr. Gonzalez has been interviewed several times by hosts Brenda Michaels and Rob Spears on ConsciousTalk Radio. A listing of his various appearances is available on the ConsciousTalk website, with the option to play recordings of more recent shows. On September 21, 2013, Dr. Gonzalez was interviewed on the Kat James Show, broadcast on Sirius/XM Family Talk Radio. The recording is available by clicking here (20.1MB). 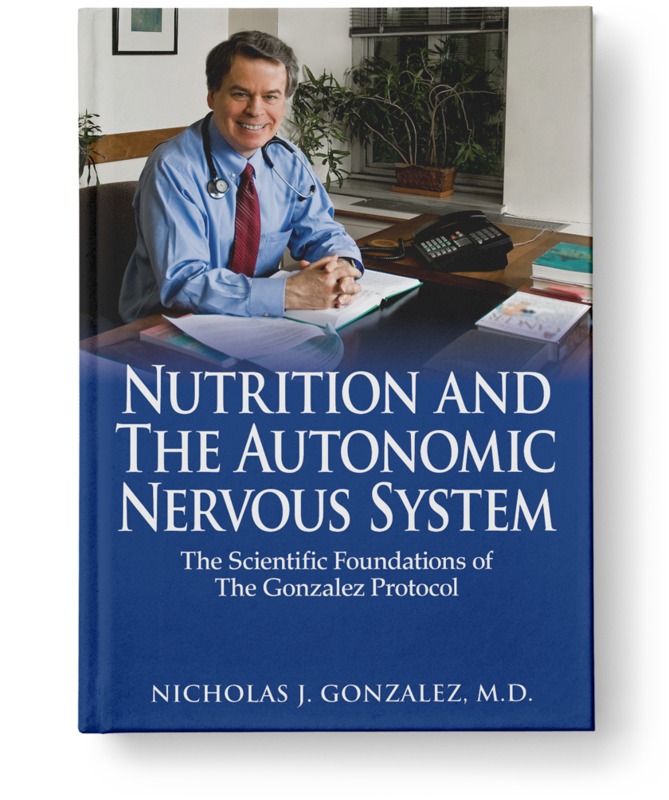 On April 18, 2009, Nicholas J. Gonzalez, MD spoke at a seminar sponsored by Nutri-Link LTD and held at the Royal Society of Medicine in London, England. Over several sessions totalling nearly seven hours, he discussed the scientific support for his approach to cancer and other degenerative diseases. He reviewed the history of the enzyme treatment of cancer dating back to Dr. John Beard, the British embryologist who 100 years ago first suggested that the pancreatic enzyme trypsin represents the body’s main defense against cancer. Click here for an excerpt of the presentation (3.8 MB); the complete recording is available through New Spring Press. At the Wise Traditions conference, sponsored by the Weston A. Price Foundation, Dr. Gonzalez spoke for 90 minutes about the the scientific support for his approach to cancer and other degenerative diseases in a speech titled “Enzymes and Cancer.” This lecture is an excellent overview of his work. A short excerpt is available on our website (2.9 MB). The full recording can be purchased through New Spring Press in CD or DVD format, as a DVD through Amazon, or from Amazon Video On Demand. 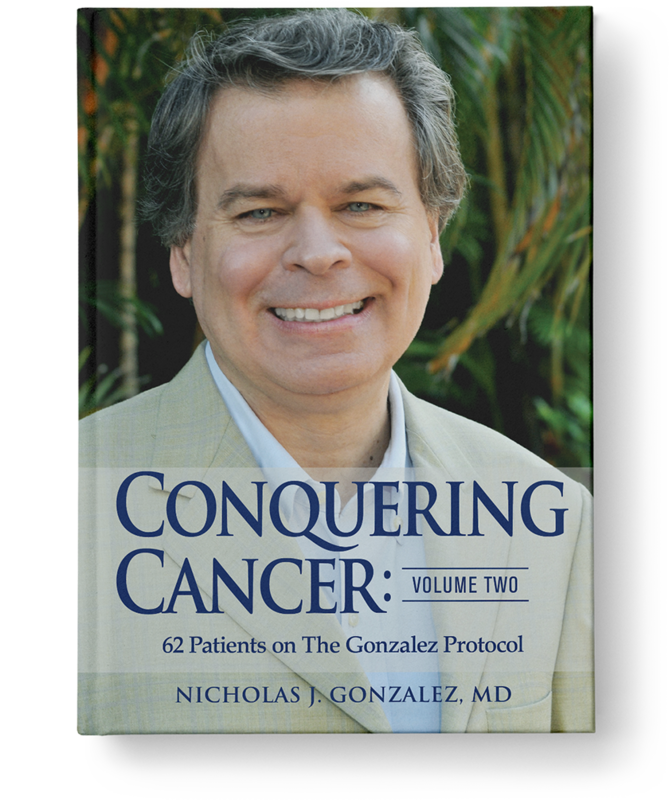 Lecture recordings of Dr. Gonzalez speaking at various conferences and seminars are available for purchase through New Spring Press.